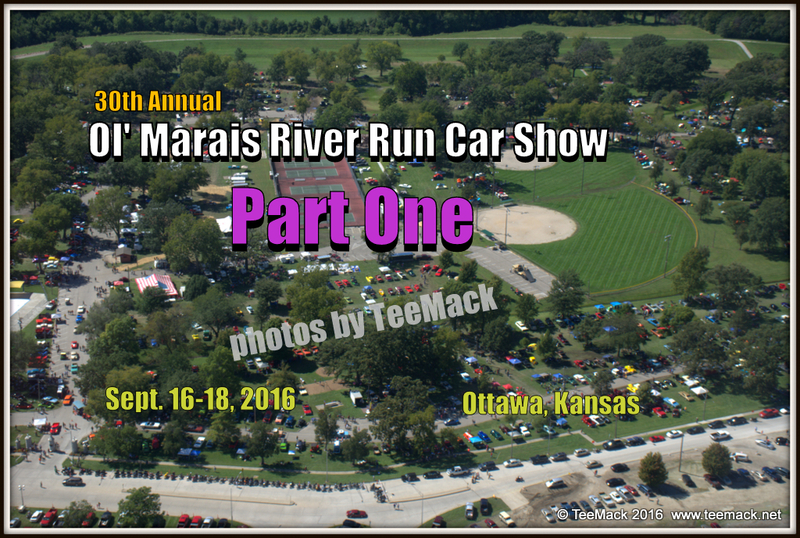 The 30th annual Ol' Marais River Run Car Show was held on Sept. 16-18, 2016. The annual event is hosted by OTRG of Ottawa, Kansas. This year the special guest included Dennis Gage of my Classic Car TV Show, Butch Patrick of the TV show the Munsters and Johnny Rolands of KC Copters. The car included several 50/50 drawings, food venders, and other sponsors at the annual show. The show was held at Forest Park, with a cruise down main street Ottawa, on Saturday night. This year’s event had over 2070 vehicles. Click here to view individual photos or to purchase high quality prints.